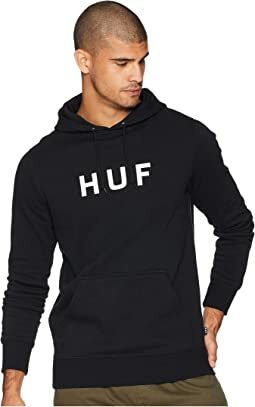 HUF™ was founded in 2002 by professional skateboarder Keith Hufnagel. 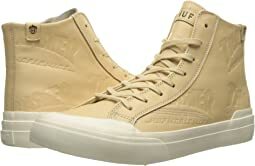 Since its inception, HUF has evolved into an independent manufacturer of premium apparel, footwear, and skateboard goods, embodying the very countercultures from which it was conceived. Nice quality sweatshirt, my son loved it but runs very small and will be exchanging for a larger size. That is why I love Zappos! Hassle free, quick exchanges! They fit great, very similar to vans. These shoes lasted a while and took a great beating. These ran narrow for a size 13, so much so I had to return them. That knocked comfort from 4 to 3 stars. The insole is as cushioned as an athletic shoe and the shoe felt true to size other than the narrowness. 13's usually fit fine for me. Bought a pair for work that got wrecked after about six months. They were stylish enough that I ended up getting another pair for everyday use. With insoles in, they're perfect shoes. These seem to higher quality then Converse. They were comfortable until I laced them up tight. I found the opening space too be a bit small for my tastes. I prefer the space to be longer like on Jack Purcells. The shoe looks great and fits great, not a fan of the liner. The liner rubs after long periods of wear, even through socks. They are okay but not that comfortable. It's possible I need to let them break in more but are narrower than I would like. Very comfortable, minimalist shoe. Feels well constructed and expect them to last through heavy wear and tear. I thought they would look great for some casual wear. I was right and they are a nice pair of shoes. Super satisfied! 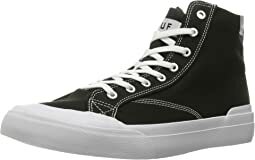 Got these in white, great for the casual white sneaker look but without getting the same Converses or Stan Smith / Superstars that everyone else has. I like the look of these better personally. I'm usually a 10.5 and these fit as expected, pretty comfortable for walking around campus. 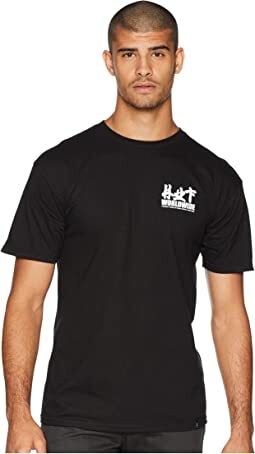 Great value here at Zappos too. Make sure you Scotchgard these things as soon as you get them to have a fighting chance of keeping them clean. The only weird thing wrong with my pair is that the shoelaces on the left and right shoes are made out of very different material, one is thicker and more durable and the other is thin and softer. They look the same though, not worth removing a star. Fits great, looks good and they're comfortable. 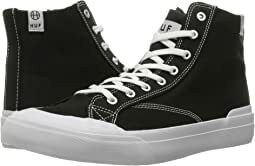 I would recommend these shoes! Love the style. Fit is extremely narrow. 12M usually fits me great, but these I could barely squeeze my foot in to. I wanted a classic white pair of summer kicks. I was initially drawn to Converse (but they can sometimes look like clown shoes) and I wanted a more mature look. I am very happy with these shoes. They look modern yet classic. They also are very confortable. They have an memory foam insole similar to what Nike puts in its line of Converse. My one problem was that the back of the shoe was rubbing against my achilles heel. Fortunately I found a fantastic pair of heel liners at Walgreens. They're like little foam pillows that line the inside of the shoe. Problem solved. I usually wear a 10 for shoes and ordered a 10.5. Fits perfectly. It's a Chuck Taylor just not as comfortable. As with a Chuck Taylor, you'll need to order a size down. I ordered a 13 and they're boats on my feet. I'll be returning for a size 12. Nice "Sneaks".The quality was good. The only bad thing they were made in China and the size is about half of what they state.